Externals are solidly built. 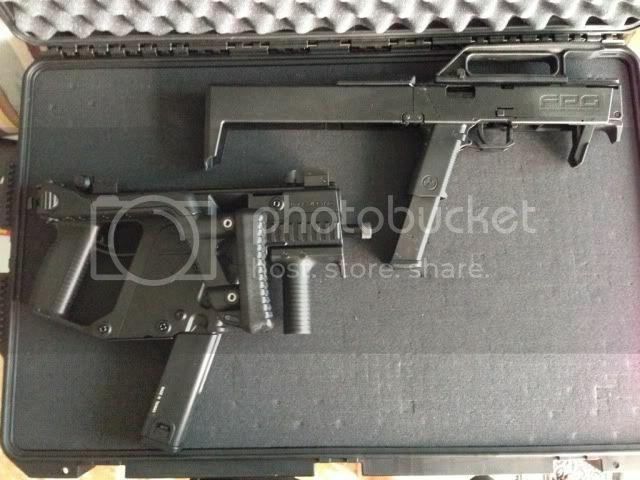 Great polymer used and the stock is solid when extended out. When folded up, it clips into the receiver well. One thing I did notice was its weight. 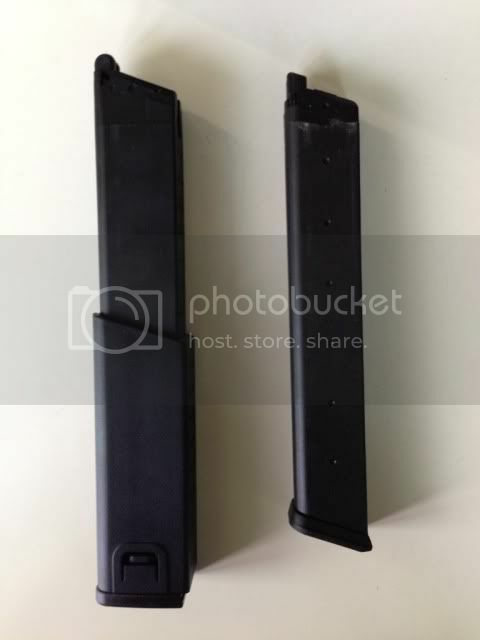 With the magazine in, the thing is not light. 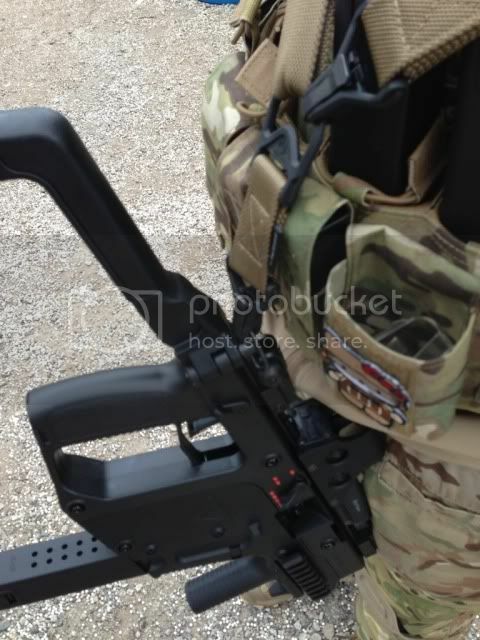 Rails are aluminum and zinc alloy charging handle & controls (could be steel but I have not yet tried it with a magnet). Fire controls are ambidextrous, crisp and click into place very solidly. I have yet to decide whether I like having separate controls for safety and fire select. 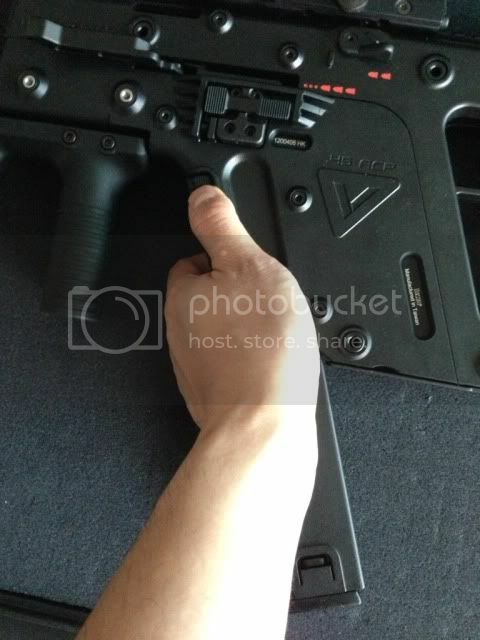 That said, it is very different in weapon control ergonomics, that's for sure. Trigger is very crisp. 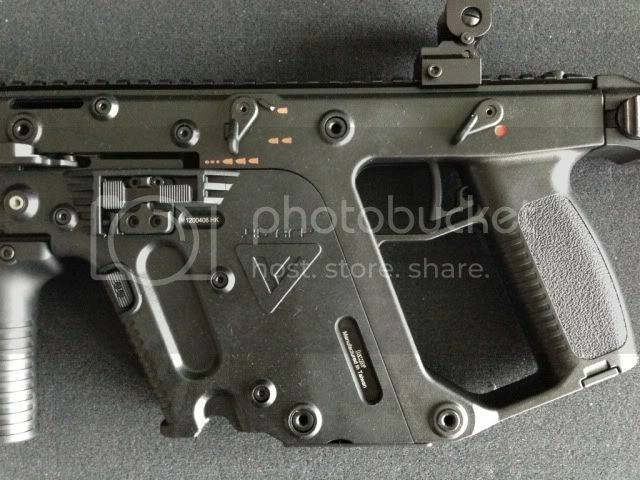 KWA did a great job with the trigger design. There is almost no travel. 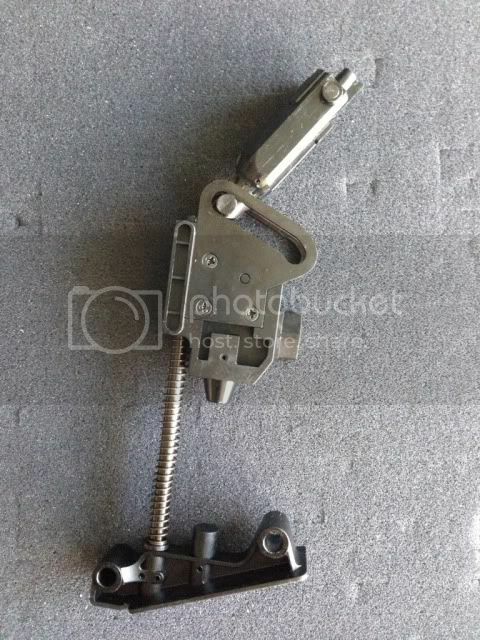 Only things that aren't ambidextrous are the charging handle, bolt lock and magazine catch. 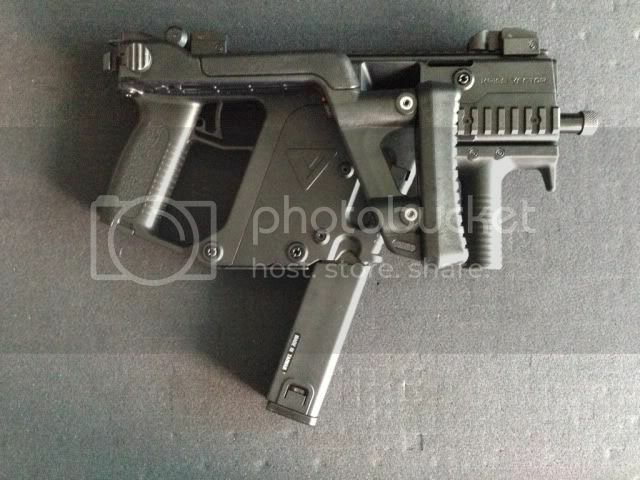 I supposed this could be due to the side folding stock. One thing i noticed was that it took a little more force than I expected to pull back the charging handle. Not sure if this will loosen up over time. 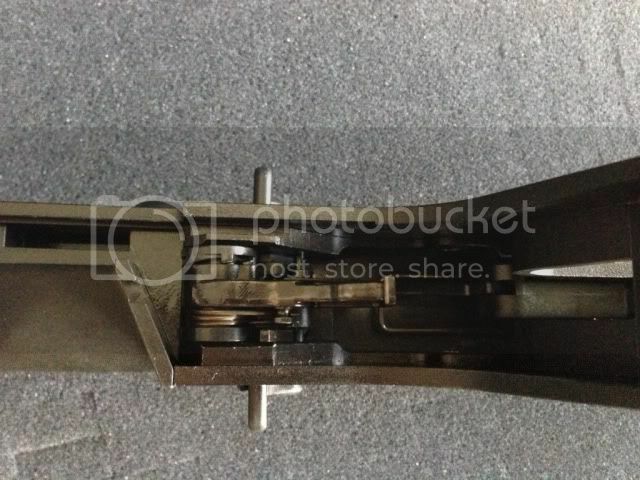 The bolt catch, although not being ambidextrous features a tab which enables you to lock back the bolt manually. As for the magazine catch, I don't particularly think it's in an intuitive place. It sits a little too high up on the magwell which is fine if you plan on just dropping your mag to the floor, but perhaps my hands are too small to be able to hold and remove the mag with one hand. 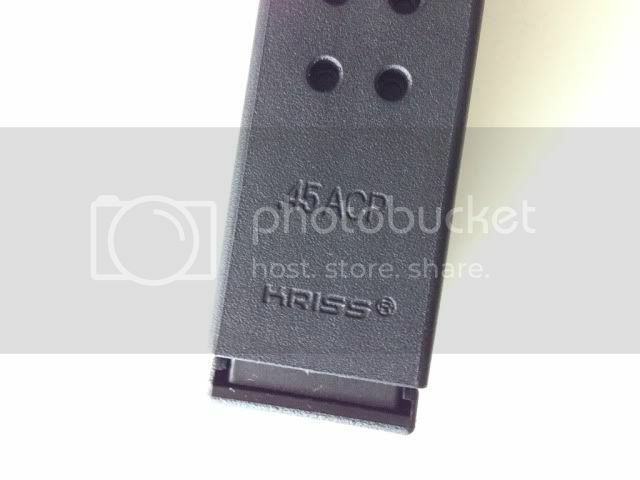 I wish KRISS would have designed the mag release on the firing hand. OK on to the internals. 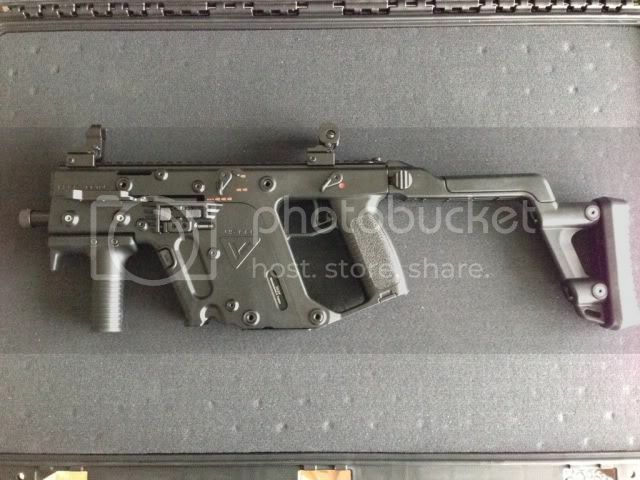 KWA designed the KRISS VECTOR GBB to field strip exactly the same way the real steel one does. 4 identical pins hold the entire platform together. Inside, you'll find all STEEL parts. 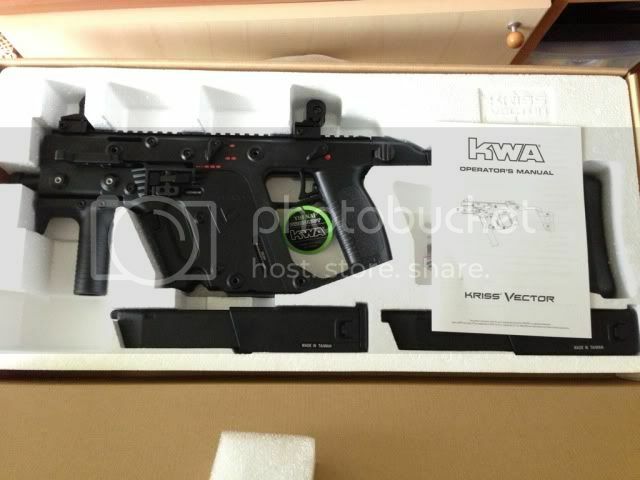 That's right, KWA did not go wrong on this part. 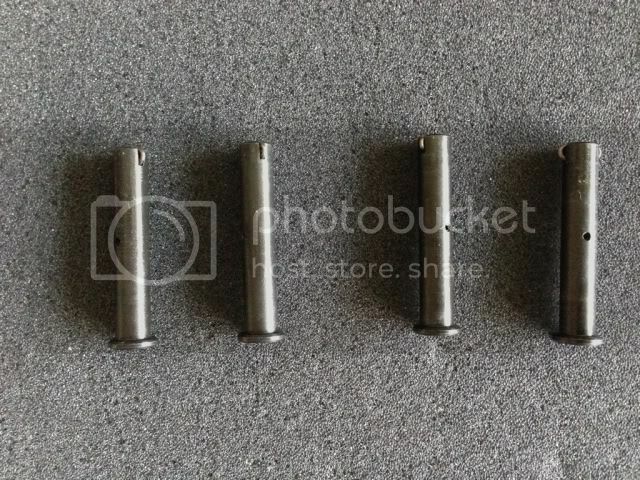 Firing mech, hammer, sear, Super V mech and even the bolt is steel. 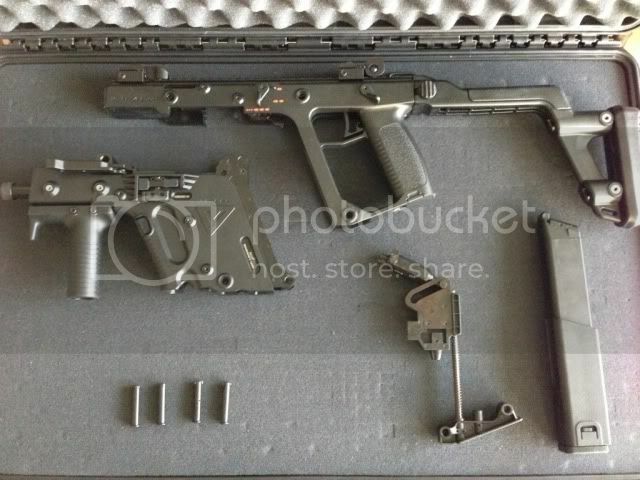 Although this means you'll have to keep your gun well lubed, it should outlast that crappy pot metal that we oh so commonly see in stock GBBs. Shooting the Kriss is absolutely awesome. Not a whole lot of recoil (for obvious reasons), but it's remarkably straight. 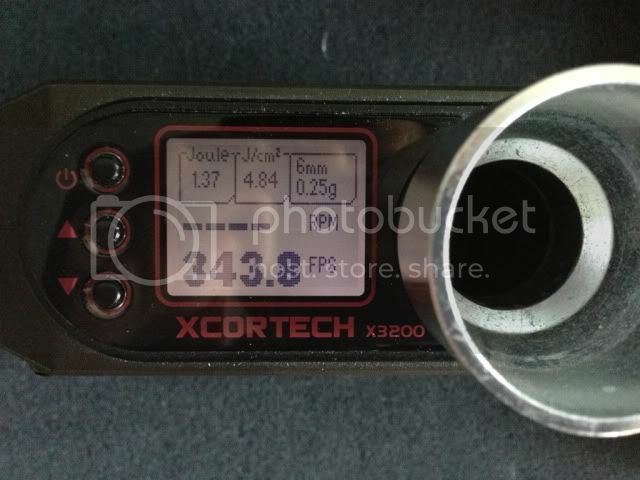 I ran a few tests through the chrono and it clocked at at about 340-350FPS (~1.4J with 0.25g BBs). Props to AZNRIPTIDE859 on his moral support and reminding me to get this asap. Cheers mate! Great review, thanks! I am tempted to get one. And what about recoil ? I'm asking because KWA Kriss was reported recoilless, what's quite... weird since real thing does have recoil, what's clearly visible on any video with it. I understand attention to detail, but if lack of recoil on KWA replica is a fact, it seems to be not very well thought and designed. I really don't know how to answer this. 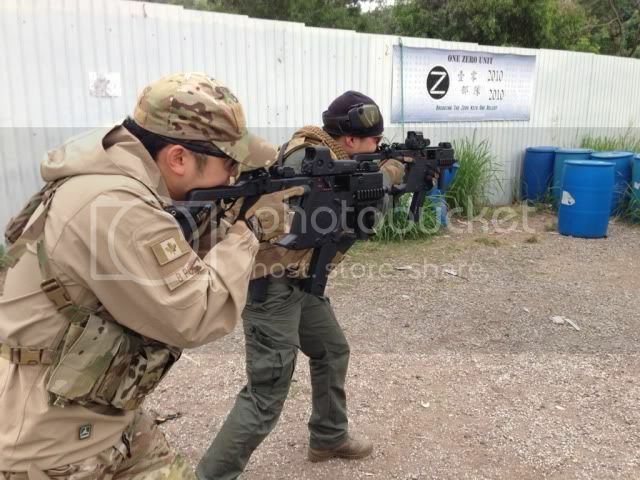 It's somewhat like shooting the KWA MP7. There isn't much recoil at all and the gun vibrates in a more up and down motion than back and forth. EDIT: But if you are looking for more recoil, this isn't your gun. Well it's more like I think that recoil of real Kriss is more or less equal to what we can expect from existing airsoft gas systems. Anyway, thanks for info . I cant wait for mine to come!! Is it a 1:1 replica? :-( had it taken Glock long mags I'd have snapped one up. 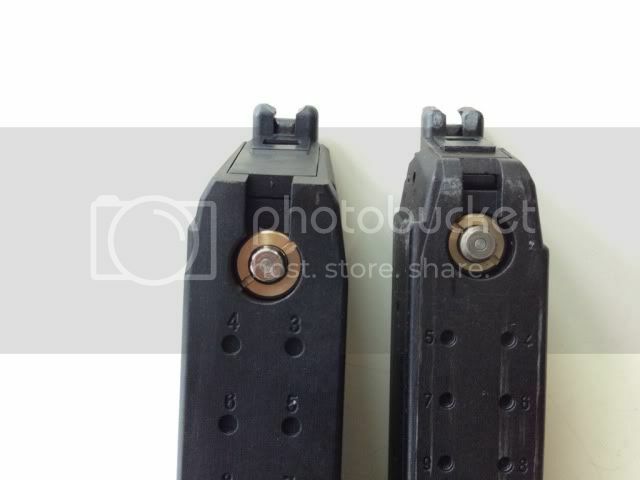 Yes, yes I know they'd be incorrectly sized but let's face it once in the grip you'd never know if they'd just released outer covers for the lower part of the mag.
? 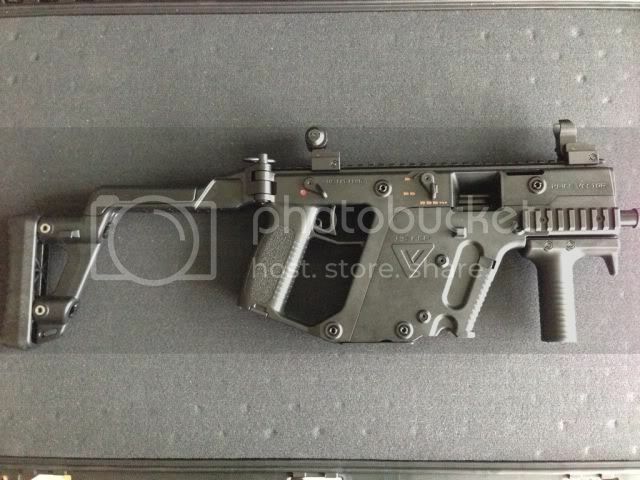 I wish my GBBR had the recoil of the real KRISS Vector haha. Judging from videos while it is probably a very significant reduction in recoil for a .45ACP, it still seems to kick pretty good. 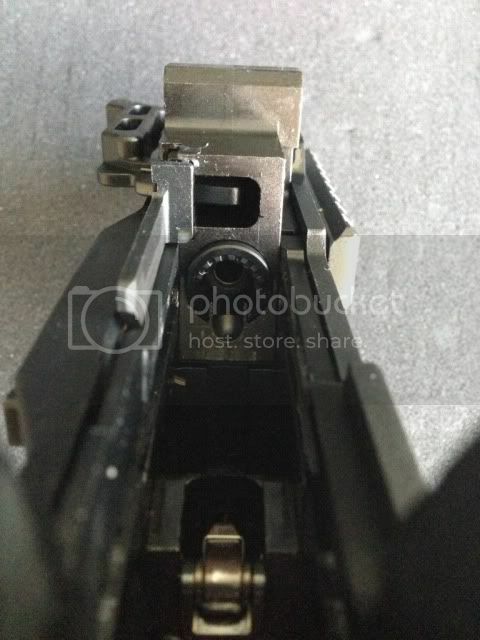 Also watch out, the hopup adjustment piece in the gun is made of plastic and to what Boobie said isn't very strong. 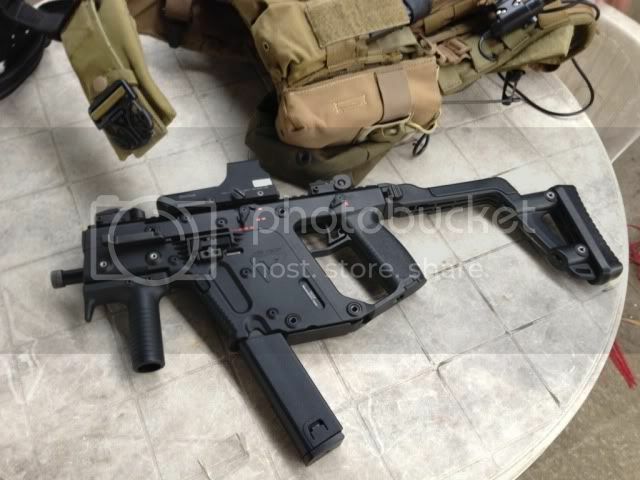 With a lower cover squaring off the mag it'd look the same. I haven't seen any HK online retailers offering this. In terms of Real Steel, shooting .45ACP rounds, one can understand why the KRISS was invented to absorb/reduce the recoil but IMHO for me from a GBB realism standpoint, it's counter productive. Sweet review. Looking forward to a (hopefully positive) after game report. Can't wait to try one myself. You could also argue that the sacrifice in recoil to mimic the SUPER V design is more realistic. Let's face it airsoft guns have little rrcoil, obviously iimplementing a recoil reduction system would reduce it to nothing. Its still realistic in magazine capacity, bolt catch, mechanical function, and such and personally, I'd rather have the same firing mech as the real steel than more recoil. While I agree the recoil is disappointing, I think it was a worthy sacrifice. Great review, as long as you guinea pig testers can run this thing for awhile without major flaws I'll definitetly pick one up out of the next batch. I'd agree that faithful replication of the field strip and super v layout are better than just making it recoil for the sake of it. If they hadn't copied the v folk wouldn't be happy, there is just no pleasing some people. It's traditional in Airsoft mate, rant on about an amazing new gum coming out speculate out all the great things it may have/ do. Wait for ages for it to be released then as soon as it's out whine about all the perceived faults! Whats the range and accuracy in a game? 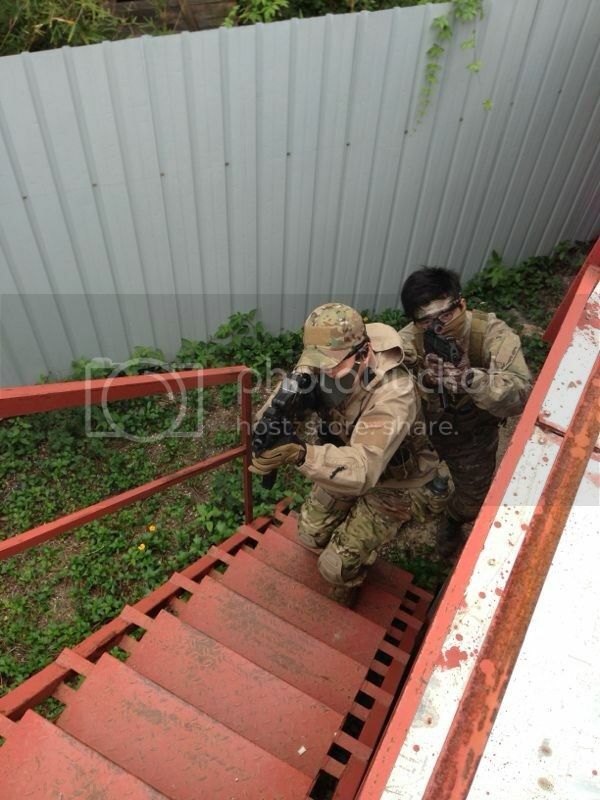 Just got back from a day spend skirmishing with the KRISS. Overall I would say I'm very pleased with its performance throughout the day. I only had one jam resulting from a sticky bolt. If you don't charge the bolt right it could get left in the half position and there isn't a forward assist like on AR15s. This was actually great since it got me thinking about the ergonomic efficiencies of clearing a jam for the KRISS. Performance-wise, simply-put, I was very impressed. KWA did a fanstastic job at regulating equal amounts of gas on each shot, and along side a well tuned hop up, the KRISS shot remarkably straight and accurately, especially considering a barrel length of about 6 inches. The 2-round burst feature was a fun feature and performed as it should each and every time. On the flip side, there were a few things I noticed that could have been improved. Firstly, the sheer weight of the KRISS is still somewhat a turn off. It weighs almost as much as a full size carbine (if not more) and the weight distribution is canted towards the front. I can see how this would have been great to compensate for recoil on the real steel version, but that said, it is quite a heavy piece to run around with on the field. Secondly, the sling point (which I heard was an afterthought) is not particularly friendly to the right-hand shooter as it is positioned biased to the left hand side. What ended up happening was that the Kriss would swing around when left hanging on my sling as I transitioned to my secondary (see pic below). 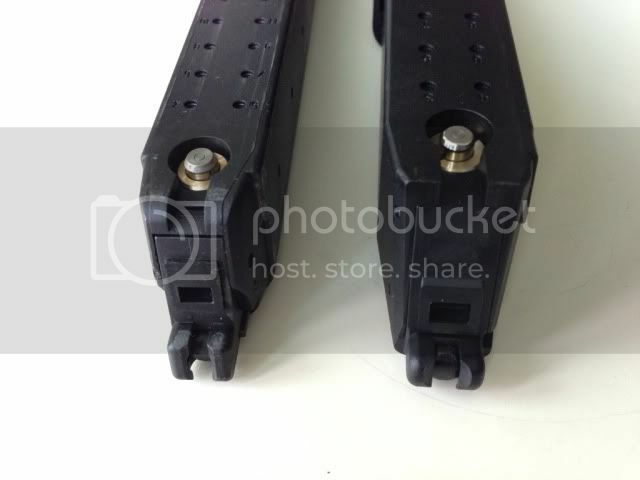 To rectify this, I recommend investing into a top rail mounted sling mounting solution like the Magpul RSA. 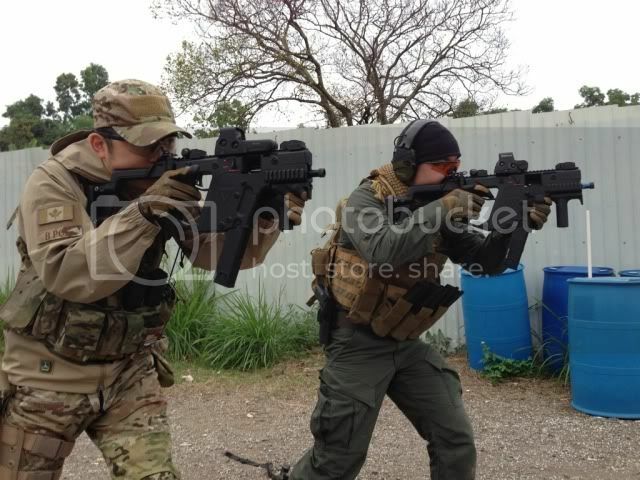 A note on shooting ergonomics with the KRISS: Since the sling mounting point is on the top, when transitioning between shooting hands (with the stock folded out), the stock actually needs to pass under the sling instead of over it (as with most conventional platforms). This may take a little getting used to. 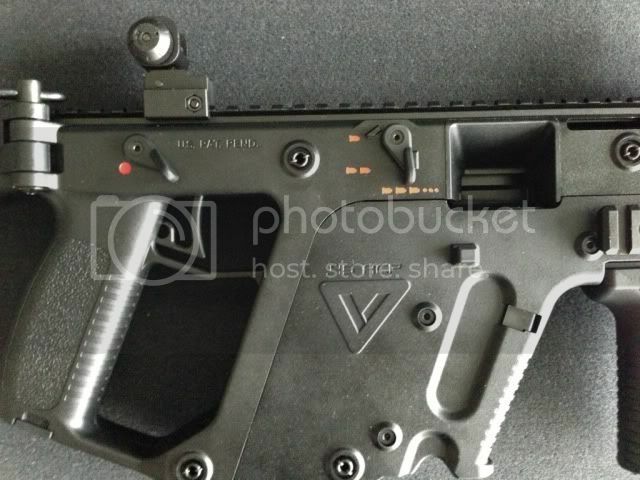 EDIT: Note about recoil on the KRISS: There is significant recoil on the KRISS, but not backwards as one would expect, but you can really feel the Super V mechanism working. 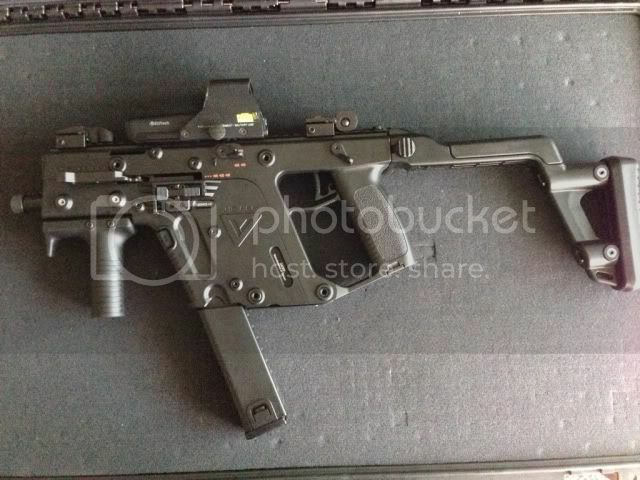 I know the recoil is little but whats it actually like? Can you really feel it moving downward rather thn back? I'd say the KRISS is accurate up to about 30 meters. The double tap feature is a neat feature, but I haven't found a relevant use for it thus yet in airsoft.